All of the subordinate data groups available for selection are listed here. All of the currently selected subordinate data groups, whose data is presented in the chart, are listed here. Move the currently selected subordinate data group from one list to the other. 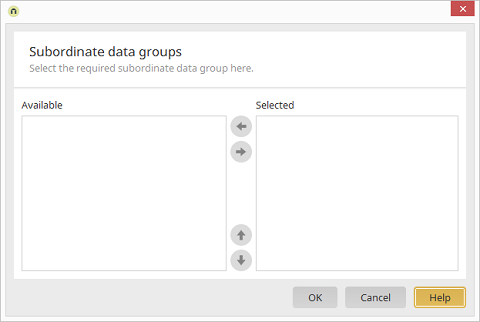 Adjust the order of the selected subordinate data groups.